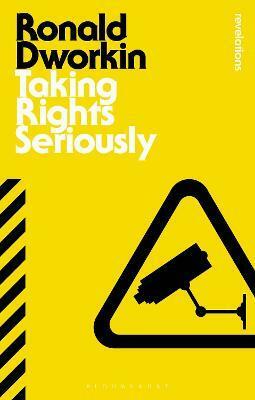 A landmark work of political and legal philosophy, Ronald Dworkin's Taking Rights Seriously was acclaimed as a major work on its first publication in 1977 and remains profoundly influential in the 21st century. A forceful statement of liberal principles - championing the legal, moral and political rights of the individual against the state - Dworkin demolishes prevailing utilitarian and legal-positivist approaches to jurisprudence. Developing his own theory of adjudication, he applies this to controversial public issues, from civil disobedience to positive discrimination. Elegantly written and cuttingly insightful, Taking Rights Seriously is one of the most important works of public thought of the last fifty years. Illustrations note w. 20 ill.
Introduction \ 1. Jurisprudence \ 2. The Model of Rules I \ 3. The Model of Rules II \ 4. Hard Cases \ 5. Constitutional Cases \ 6. Justice and Rights \ 7. Taking Rights Seriously \ 8. Civil Disobedience \ 9. Reverse Discrimination \ 10. Liberty and Moralism \ 11. Liberty and Liberalism \ 12. What Rights Do We Have? \ 13. Can Rights Be Controversial? \ Appendix: A Reply to Critics \ Index. Ronald Dworkin is Professor of Philosophy and Frank Henry Sommer Professor of Law, New York University, USA. One of the foremost philosophers of law writing today, his numerous publications include Freedom's Law and A Matter of Principle.